Salman Khan is gearing up for his yet another Eid release, Bharat in June. The film reunites him with Katrina Kaif and it is currently under post production. It will mark the return of Ali Abbas Zafar and Salman after blockbuster films, Sultan and Tiger Zinda Hai. As the teasers have intrigued the fans, fans are eagerly waiting to catch a glimpse of the film. And we finally know when the trailer will be out. 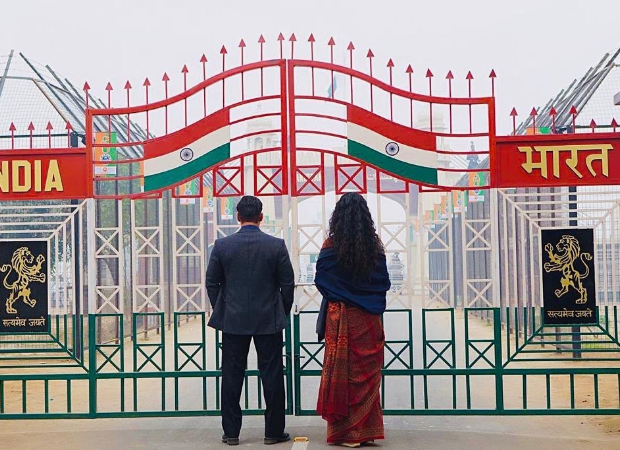 Salman Khan and Katrina Kaif starrer Bharat’s trailer will be out in April 2019. As the film is currently three months away from its release, the makers want to give a glimpse of the film way ahead of the release. This will be exciting for the fans who are excited to see Salman Khan sporting different looks which they got to see in the teaser. Interestingly, in April, Salman Khan will begin shooting for Dabangg 3. Previous Rohit Shetty and Farah Khan to remake Amitabh Bachchan – Hema Malini’s Satte Pe Satta?